As I keep on the road to improving my art skills, this semester I'm taking Life drawing II and Painting II. So I'll keep posting up the exercises. 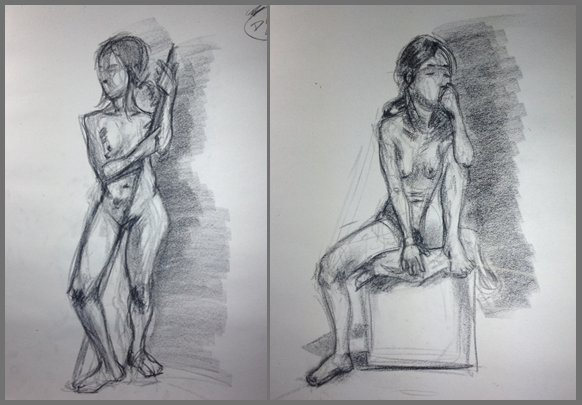 These are all from my first class of Life drawing II. They turned out better then I thought being only the second time Ive done it in ten years or so, but I have a lot of room to improve to get to where I want to be. My main goal is to improve my gestures and get a more natural look to my human characters. Also I want to get a better aesthetic going and proportions and all that.